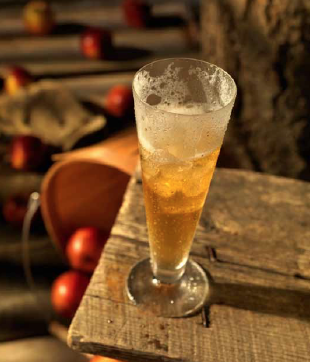 Basic Brandied Cider Drink Serve in a chilled cocktail glass. 2½-3 ounces cider of choice 2½-3 ounces complementary flavored brandy Slices or wedges of complementary fresh fruit Combine the cider and brandy in a shaker half-filled with fresh ice; shake vigorously. Strain the mixed drink into the prepared serving glass. Garnish with the fresh fruit.